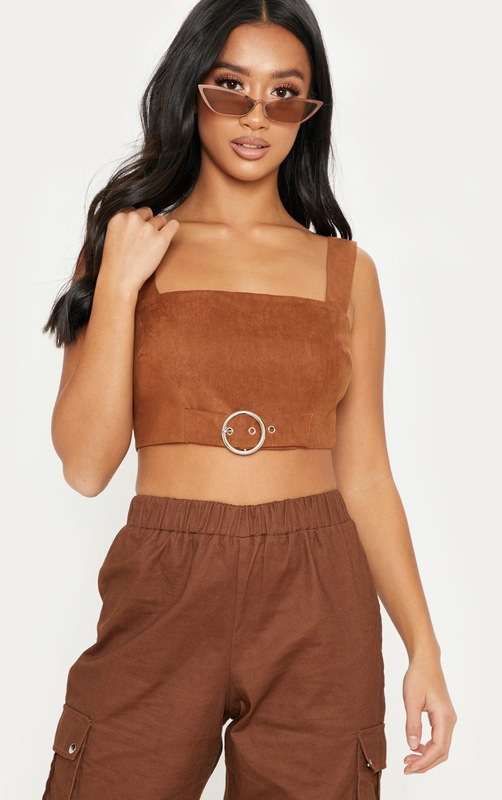 This crop top is an ultimate wardrobe staple piece to elevate any look. 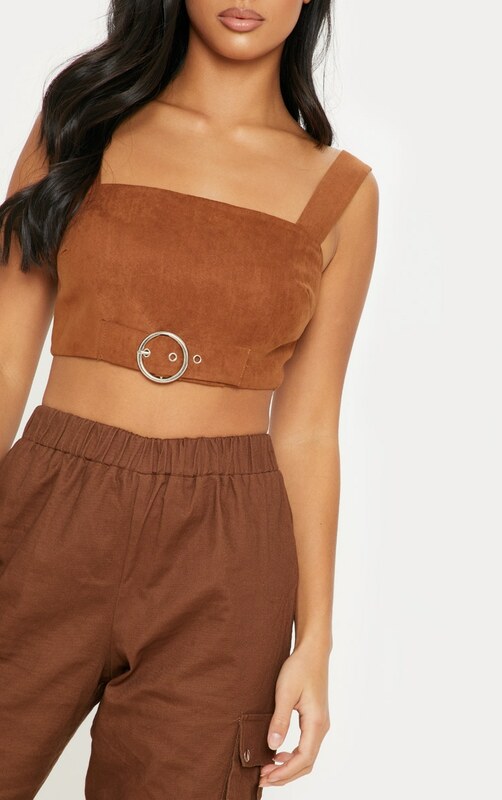 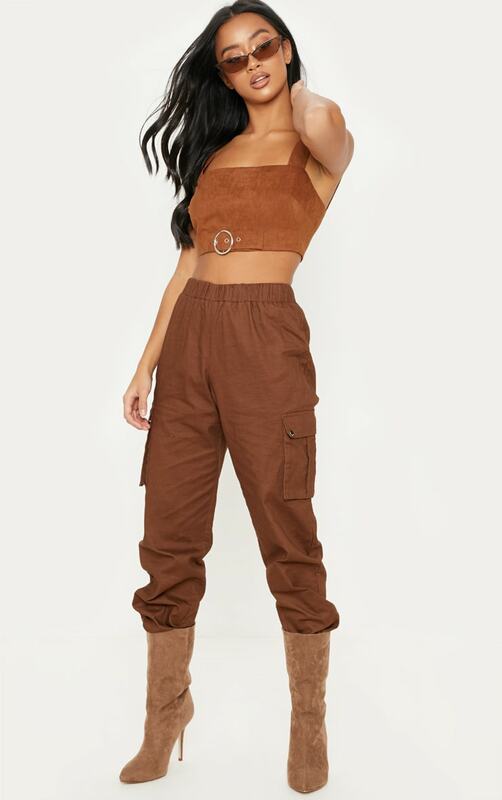 Featuring a chocolate brown faux suede material with a buckle detail and thick straps. 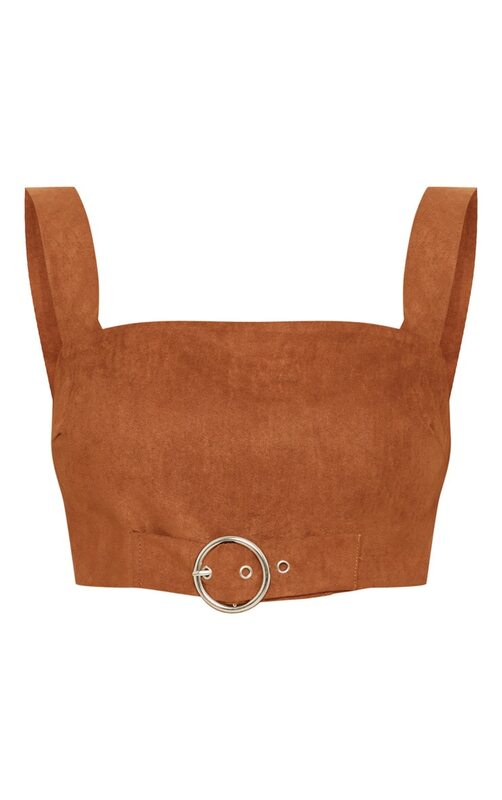 Team this with matching hue pants and heeled boots to take your off-duty look to the next level.